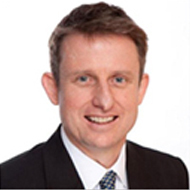 With extensive information technology experience in several business sectors throughout Australia and Southern Africa, Paul oversees The First Group’s corporate and Shopping Centre information systems, including infrastructure design and implementation, system maintenance, IT security, and equipment and software acquisition. Paul has successfully developed strategies to provide a significant increase in performance and reliability of IT across the First Group whilst considerably reducing both server and desktop downtime allowing staff to be more productive. Paul holds a Bachelor of Engineering (Honours) from the University of Queensland and a number of IT vendor certifications.